Chapter 316: I Don’t Agree! Casina pinched Yun Xi’s cheeks and felt the soft and rubbery handfeel. She smiled like a tiger who just caught a delicious prey. In her eyes, every part of Yun Xi’s body was perfect. Don’t look down on the softness and flexibility of skin. It was a rare natural gift even amongst millions of people. In the endless god’s domains, this was one of the two fantastic body constitutions all martial artists dreamed of obtaining: “Soft Body”. The “soft” didn’t mean “weak”, the “soft” was compared to another fantastic body constitution: “Rigid Body”. The representative being who had the “Rigid Body” were the Lava Giants, their bodies were as hard as steel. To humans who had this special body constitution, they were born with super strong strength and their bodies were also different from ordinary people. If traced back to the source, it was very likely that their ancestors had Giant Bloodlines. The people who had the “Rigid Body” was a natural warrior. Even if they didn’t practice any martial arts, they could still be invincible generals on the battlefield. Correspondingly, they needed to eat ten times more food than ordinary people. On the contrary, the “Soft Body” was totally different. The people who were born with the “soft body” were a much lesser person than the people who were born with the “Rigid Body”. So far, no one could explain the reasoning behind the form of this special body constitution. Compared to the “Rigid Body”, the “Soft Body” had advantages on flexibility and agility. The people who had the “Soft Body” could bend their bodies to an extent that was far beyond ordinary people’s imagination. However, it didn’t mean the people with a “Soft Body” couldn’t build their muscles. The “Rigid Body” and the “Soft Body” were all rare body constitutions that wouldn’t even appear amongst a million people. The people who had one of the two body constitutions were more likely to reach the legend rank than ordinary people. If taking this as the starting point, the two special body constitutions could be subdivided into small branches such as “Berserker”, “Bloodthirster”, or “Iron Body”, they were all directly leading to the road of becoming immortal. Casina herself was an owner of the “Soft Body” and she had stridden across the boundary between “softness” and “rigidness”, becoming a legend ranked martial artist that could use “The Magnificence of Sky Dance”, which was a world-class martial arts. From the handfeel of Yun Xi’s body, Casina was sure that the “White Emperor” had the rare “Soft Body”. His “Soft Body” was so perfect that it could even be compared to Casina’s body when she was still a mortal. Between the two super body constitutions, the “Rigid Body” was normally inherited by men and the “Soft Body” was inherited by women, it rarely had an exception. 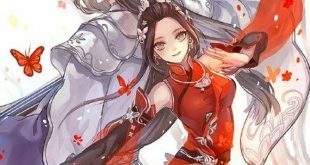 The man who had the “Soft Body” was really as rare as the hair on a phoenix, even in Casina’s long life, this kind of men could be counted on her fingers, and Yun Xi was the only person who had this innate body constitution but hadn’t formed his own battle style. No, Casina thought that it wasn’t a natural body constitution, it was more like the after result of removing all the impurities in his body. After experiencing an evolution of his life form, he finally made his body pristine. At first glance, his body was like the “Soft Body”, but when Casina looked carefully, she found that his body was even much better than that. “Is this the gift from the water god?” Casina pinched Yun Xi’s face again. She affirmed that it wasn’t a natural body constitution but a gift formed by a real god’s source power. No wonder Hydra fell into a deep sleep again. Casina wondered why Shaya Longnis’ invasion made Hydra consume so much energy, and now Yun Xi’s body constitution explained it. Hydra, just how much do you love this boy? In order to give him this gift, you were even willing to sleep thousands of years again? “I can’t just see this body constitution being wasted…” Casina straightly ignored Yun Xi’s refusal. She felt that she had just found a very interesting toy. Her road of martial arts had almost reached an end. No matter how many strong enemies she would defeat, it wouldn’t make her become a bit stronger. Because of this, she recently stopped practicing herself and returned to her homeplace, Sky Sword God’s Domain, and helped Hydra “teach the tenth Sky Sword a lesson” on her way home. After seeing Yun Xi’s special body constitution, she suddenly had an idea. Maybe it could be her turning point on her way of becoming stronger. She thought that if she could observe Yun Xi’s learning path, she would find some inspirations from him. Oh, he just refused? Sorry, but I didn’t hear anything! “Ok, it’s settled. White Emperor, would you like to establish diplomatic relations with Sky Sword God’s Domain?” Compared to her own wish of having a new disciple, the diplomatic statement was just a trivial matter to Casina. “I do.” Yun Xi didn’t expect the process would be so simple. Shouldn’t it be settled after a series of long negotiations over several months? “Ok, then you will be my disciple.” Casina nodded her head naturally. Wait! I haven’t agreed to that! Aren’t we talking about the Establish Diplomatic Relations contract between the two worlds? “Anybody else got a problem?” Casina didn’t mind Yun Xi’s opinion at all. All Sky Swords were wayward. The probability for a conformist to become a Sky Sword was zero. All Sky Swords were monsters above monsters. They all had their special tempers. Although Casina wouldn’t destroy a world like Shaya Longnis tried to do, but once she decided to do something, she would do it immediately and never feel any regret. This was her, Casina, the Battle God! “I don’t agree!” A whoop of rage suddenly sounded in the air. A girl holding a broken sword in her hand jumped on the stage, stared at Yun Xi and ground her teeth tightly. As sweat streamed down Yun Xi’s face, he remembered how horrible Hua Huo’s anger was again!